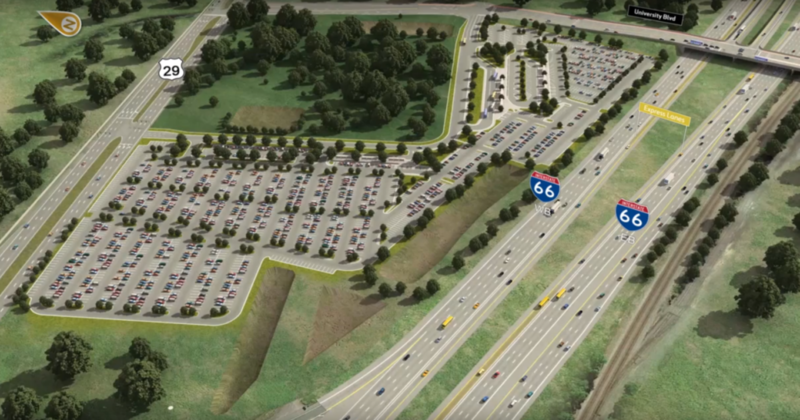 DAVENPORT is currently providing Site Design and Transportation Engineering services for two (2) proposed park and ride lots as part of the I-66 Outside the Beltway project. These include the proposed lot at University Boulevard and US 29 (Lee Highway) in Gainesville, Virginia, and the lot on future Notes Road in Manassas, Virginia. DAVENPORT’s scope of work includes: Site Civil Design, Drainage, Lighting, Signing, ITS coordination and Landscape Architecture. In addition to DAVENPORT’s Site Civil leadership role, we have been tasked with providing Trip Generation, Trip Distribution and Signal Warrant Analysis for each lot. Results of our analysis will determine site access design geometry.